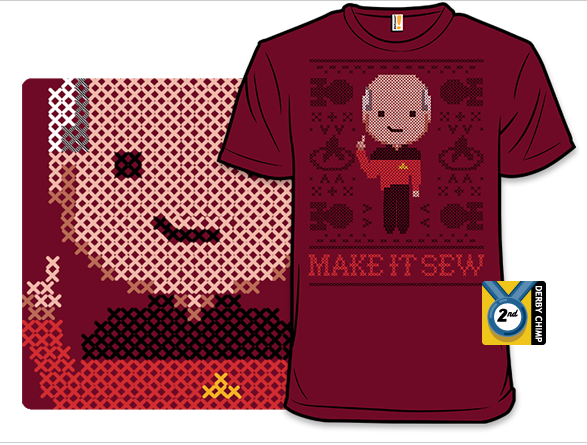 I didnt make this of course but I cant help but sharing it with my fellow seamstress in case anyone is a Star Trek TNG like me. Hubby bought it for me and i am so excited to wear it after pregnancy! You can get your own here. (This is not a sponsored post or anything). This entry was posted on Saturday, August 23rd, 2014 at 9:58 am	and posted in Uncategorized. You can follow any responses to this entry through the RSS 2.0 feed. Awesome! Thanks for the link – I just ordered one. nice! 😀 i can totally see you in it! I love that graphic! Super funny and I can’t wait to get my hands on one!